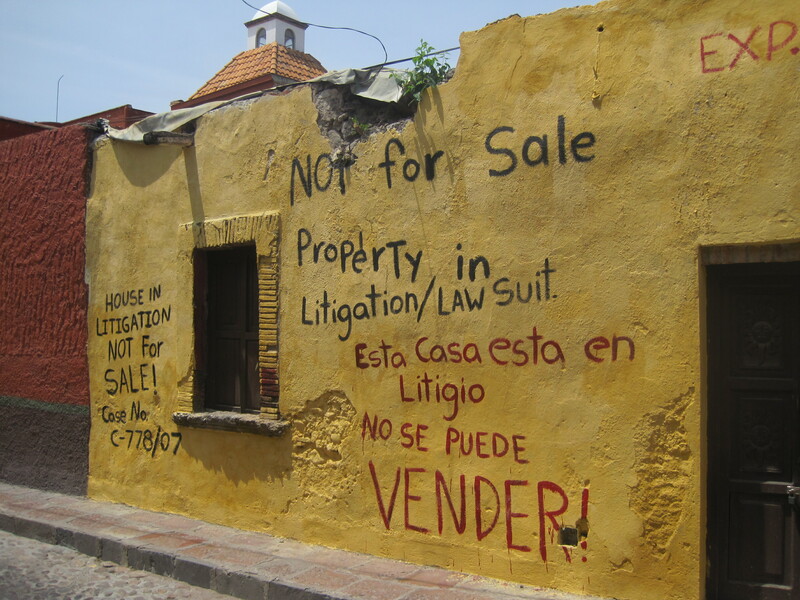 I happened upon this house in San Miguel. Imagine the terror of not being able to list and sell your house because of a LEGAL issue where Canadian and American lawyers can’t practise. But is that any worse than listing your house and waiting three years for a buyer? This statement will send the Angels of Bienes Raices into action. I do so love to stir them up. 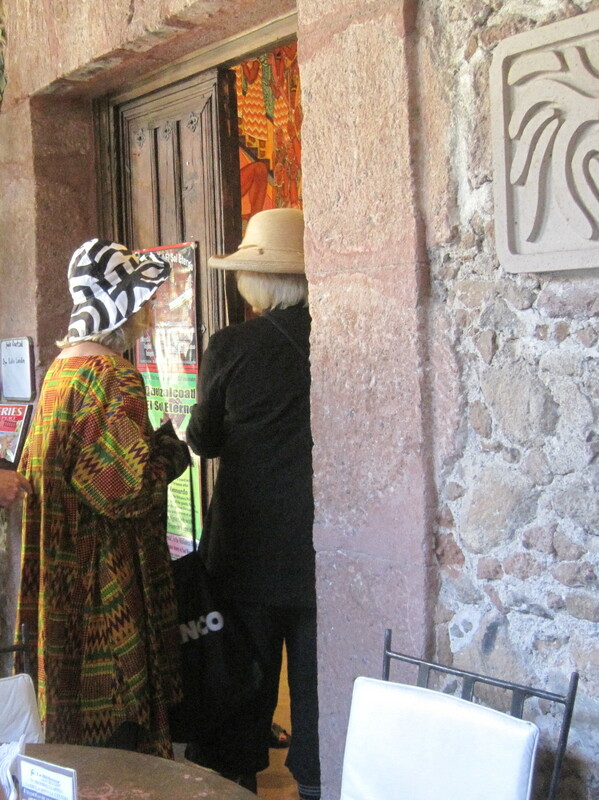 You are going to have to click on the picture to see what came to San Miguel the other day. This travelling show is put on solely for Mexicans. What don’t you all speak English? Where can I get Dijon Mustard? 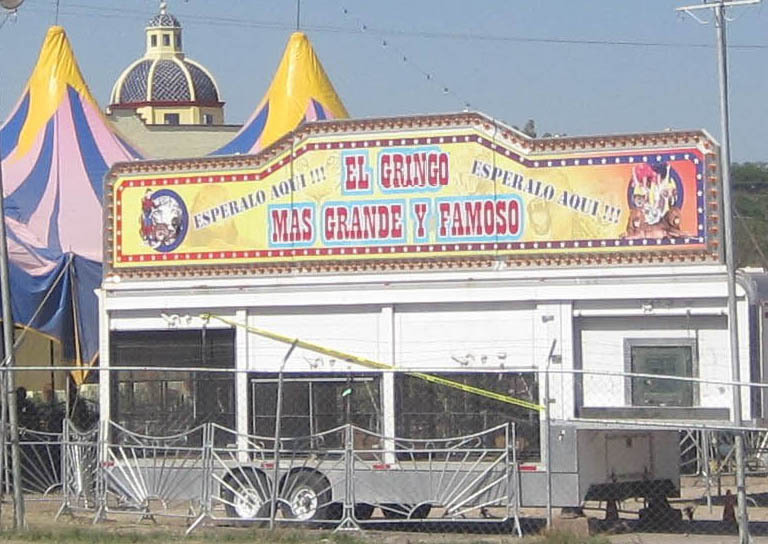 Inside the Big Tent is a production of the Glass Menagerie, two Art Installations, a live demonstration of Mexicaning your Casa Up, three hundred Real Estate agents with a deal for you, a booth manned by Democrats abroad asking for your support for Obama, many, many booths manned by the Doing Good Works Gang asking for support for a cause dear to only their heart. 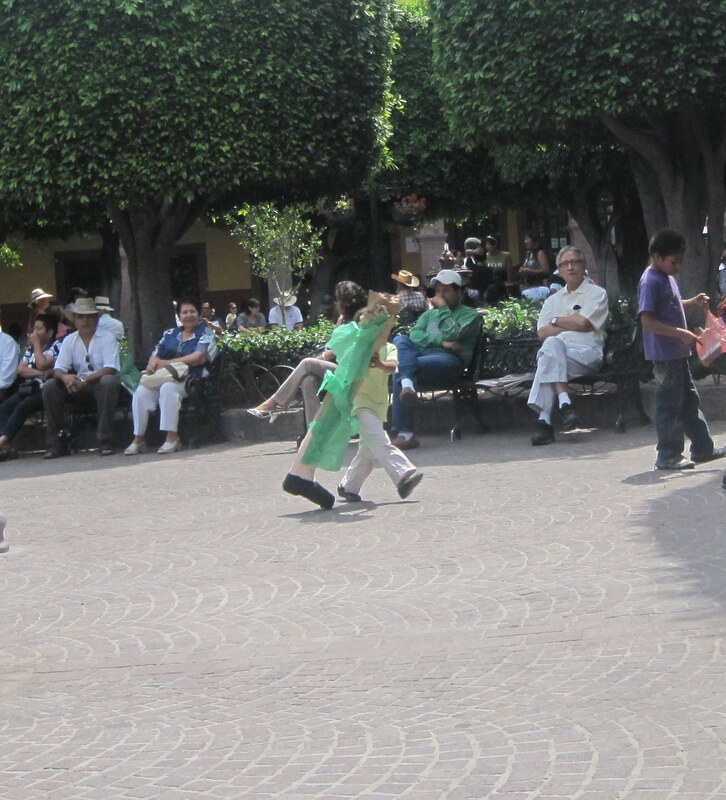 Mexicans love to go and laugh at the Expats who are so earnest.. This for those of you who don’t know how to click on a picture. When I taught I used to ask students to do a technique called the One Sentence Summary. A whole concept has to be reduce to one sentence. The above is a One Sentence Summary of the movie Pretty in Pink. High concept is an ironic term used to refer to an artistic work that can be easily described by a succinctly stated premise. While nearly every production can be described in a briefly stated high concept synopsis, a movie described as being ‘high concept’ is considered easy to sell to a wide audience because it delivers upon an easy to grasp idea that is original, interesting, colorful, and sometimes humorous. An extreme example of a high concept film is Snakes on a Plane which put its entire premise in the movie title itself. Oh that life could be reduce to a One Sentence Summary, a Tagline or a High Concept. 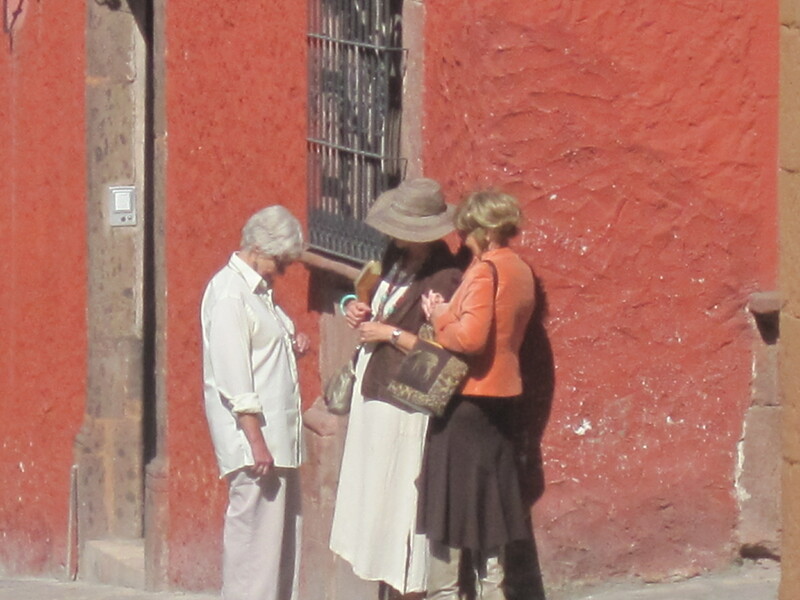 Mary moves to San Miguel and finds Arts, Friends and Meaning. If you have a garden then you want to find flowers that attract butterflies. 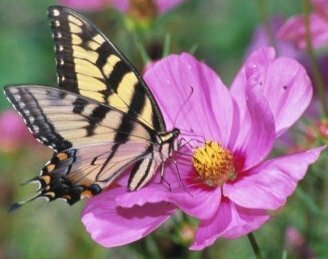 Plant your butterfly garden in a sunny location (5-6 hours each day), but sheltered from the winds. Butterflies need the sun to warm themselves, but they won’t want to feed in an area where they are constantly fighting the wind to stay on the plants. It is also a good idea to place a few flat stones in your sunny location so the butterflies can take a break while warming up. Butterflies need water just like we do. Keep a mud puddle damp in a sunny location, or fill a bucket with sand and enough water to make the sand moist. Emma wants to attract butterflies . But this day there were few butterflies around her. Some dreams take a while. 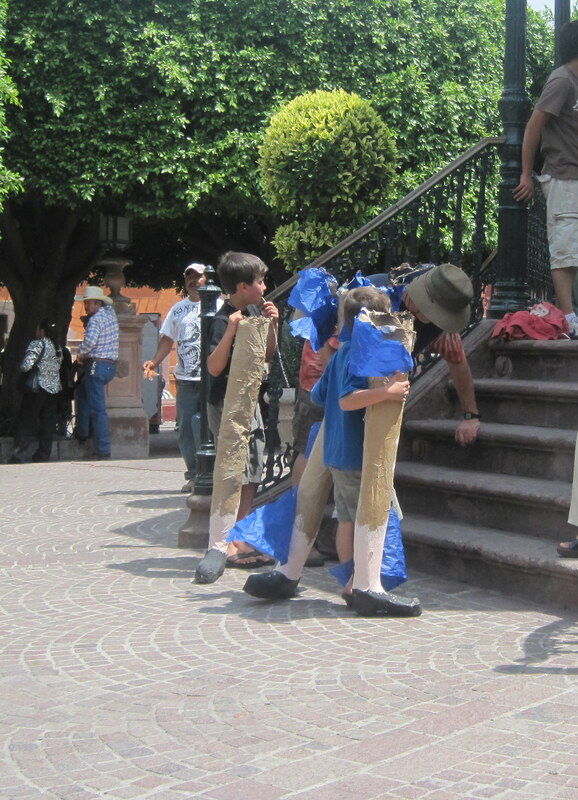 Seems there was a leg sale in San Miguel. Not sure what you would do with a leg but here are three buyers of legs. I have heard of giving someone a hand but the closest expression I can find is giving someone a leg up. These buyers simply seem to be giving a leg and no direction. On Easter Sunday they blew up paper mache dolls in the Jardin. There were hanging from ropes over Calle San Francisco. Expats like to be part of the events but I think these three people didn’t quite realize what was going to happen. Not all Processions and Events are religious nor invitational. Have you ever gone to a restaurant for dinner and been more interested in the conversation at another table than at your own? There is something about overhearing a conversation and trying to fill in all the blanks. Is that Salsa on my blouse? Darling, is that your husband’s shirt? Darling, is that salsa on your husband’s blouse? Men are born without the Matching Gene. They seem to have no idea of what “Goes together”. Hence you see plaid Bermuda shorts with a striped shirts and a complete lack of awareness that they don’t Match. That is why men marry because all women are born with the Matching Gene. My mother instilled in me the Concept of Matching. I couldn’t go out the door when I was a kid, if I didn’t match. I am still not sure why it is important to match but I do recognize men who don’t Match. 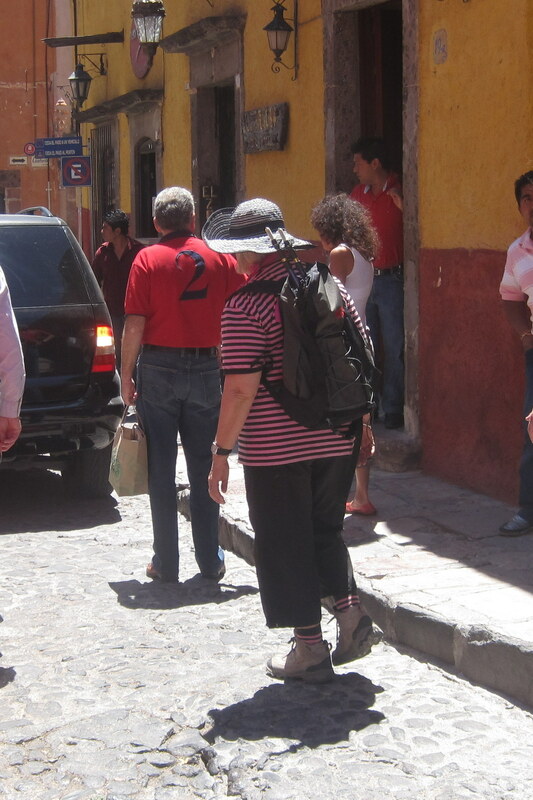 Imagine my surprise at a Communist Gathering in San Miguel to see a woman who lacked the Matching Gene. What are They Dressed For? A new theme on the blog is dressing for Occasions. Today’s couple appear to have dressed for different Occasions. He has to be going for a jog or a walk but what is his lady friend dressed for. The shoes say there is hope for a brisk walk. Maybe she is going to watch him walk. 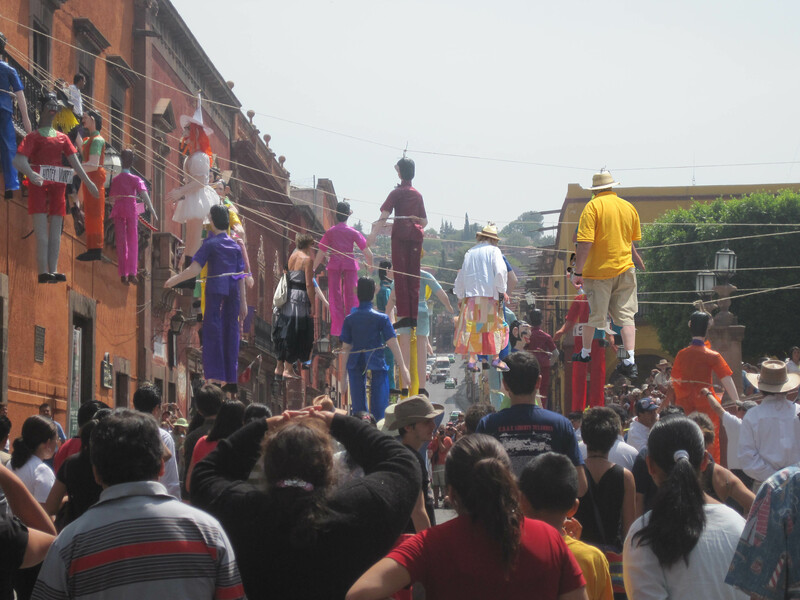 Almost nowhere in Mexico is Semana Santa recognized with such reverence, tradition and awe as in San Miguel de Allende. 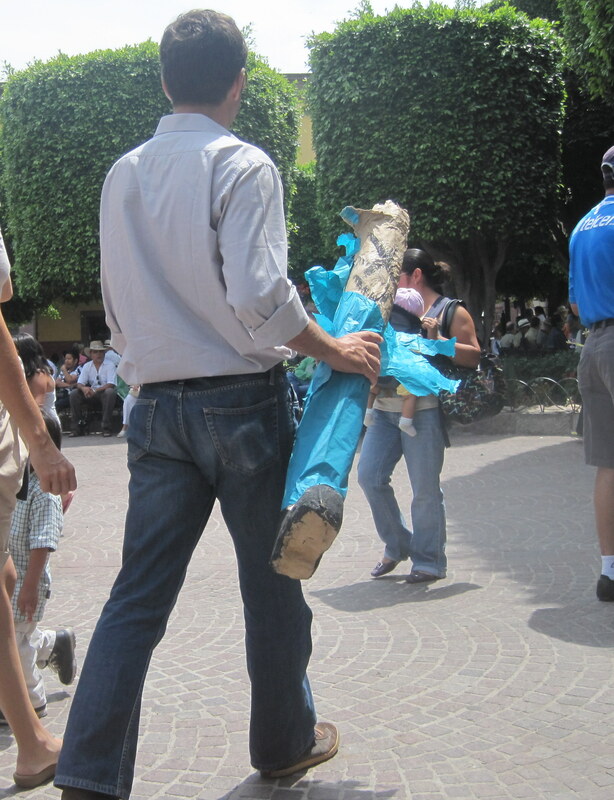 Visitors both devout and curious come from all over Mexico (and the world) to experience the intense emotion of these observances of the Passion and Resurrection of Christ. Okay after reading the above what clothing decisions would you make? 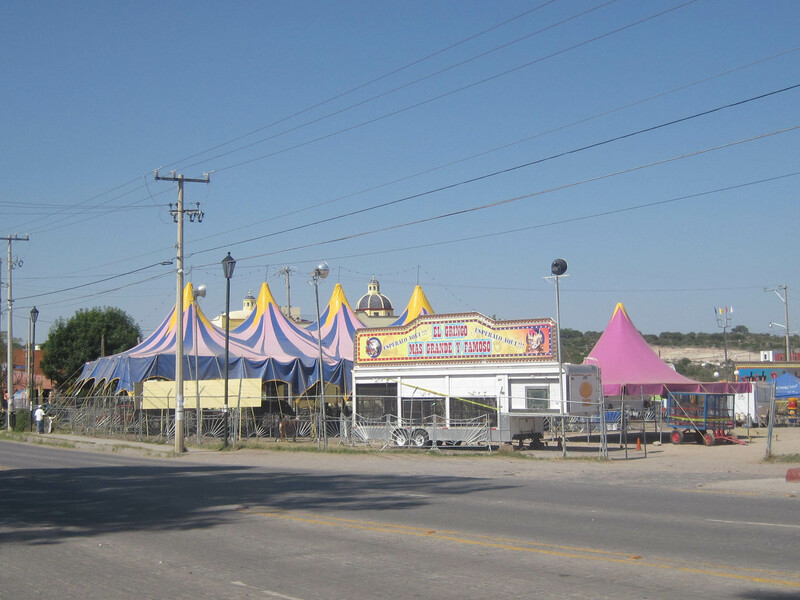 I know the circus is in town for Semana Santa and perhaps that is the theme for the Leopard Outfit or perhaps this is another shill for the Circus. Perhaps Jill has confused the circus and Easter. 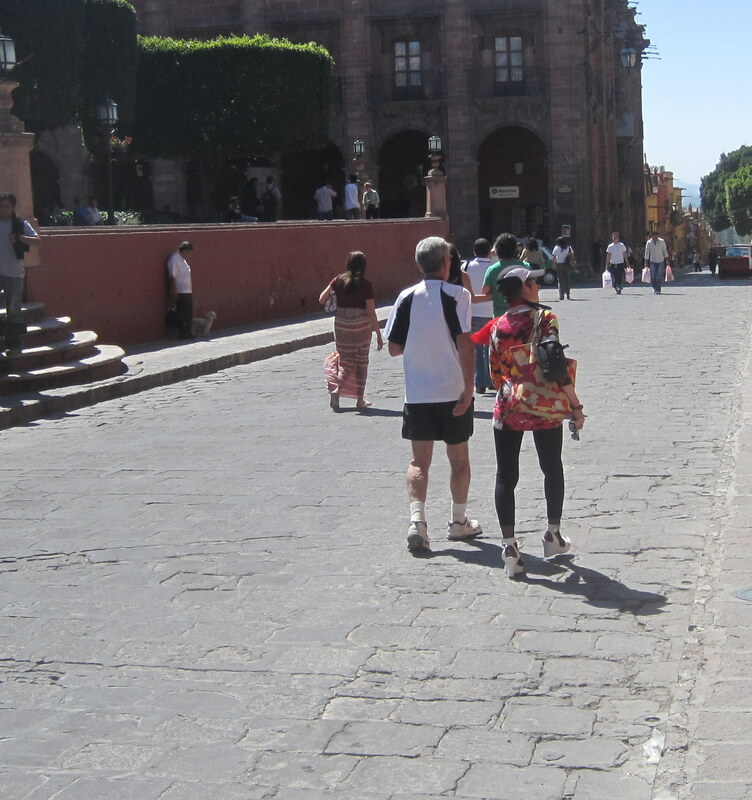 The religious events might wreak havoc with the Magic of San Miguel for some people.